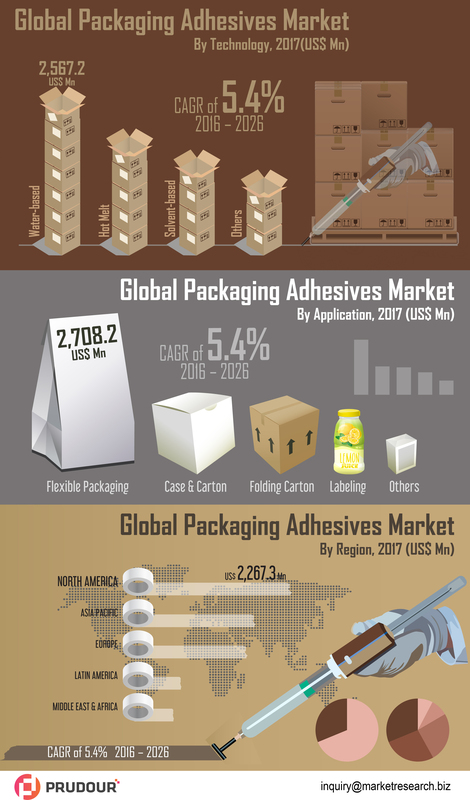 The global packaging adhesives market is estimated to value US$ 7,263.4 million in 2017, and is projected to register a CAGR of over 5% in terms of value during forecast period 2017–2026. The first five-year cumulative revenue (2017–2021) from the water-based segment in the global packaging adhesives market is projected to be US$ 40,237.5 Mn, as compared to a higher cumulative revenue for the latter five years of the forecast period (2022–2026). Among all technology segments, water-based technology segment in the global packaging adhesives market is expected to register a CAGR of over 5% over the forecast period. Among all the application segments, flexible packaging segment is projected to register highest CAGR of over 5% owing to increasing demand for packaging adhesives. North America market is anticipated to grow at a steady growth rate, while demand for packaging adhesives in Europe region is foreseen to expand at moderate pace in near future. 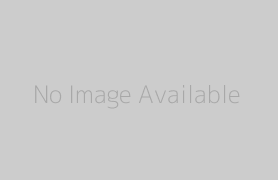 Global packaging adhesives market Companies Profiles are B. Fuller, 3M Company, Sika AG, The DOW Chemical Company, Bostik SA (Arkema Group), Henkel AG & Company, KGaA, Royal Adhesives & Sealants, Jowat SE, Dymax Corporation, Avery Dennison Corporation.